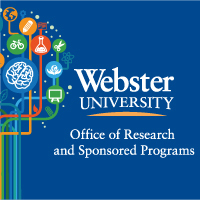 The Webster Staff Alliance (WSA) Board is now accepting applications for the U.S. Extended Campus Professional Development Scholarship. The scholarship is designed to bring up to three U.S. extended campus staff members to the home campus in St. Louis to participate in either the Diversity and Inclusion Conference (Feb. 26-28) or the WSA Professional Development Day (March 13). Applications are due by Jan. 23. The Office of Research and Sponsored Programs invites faculty to cultivate their productivity habits, beyond time management. 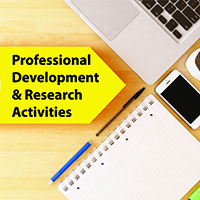 In this interactive workshop, led by Dr. Katie Linder will explore seven productivity skills for academic writers: prioritization, goal-setting, focus, efficiency, consistency, and follow-through. Application guidelines for the 2016-2017 Adjunct Faculty Development Fund are now posted in the Connections Office of Academic Affairs Policies and Guidelines channel. Applications will be accepted Aug. 15 through Sept. 15. Contact Rita Smith at kosemund@webster.edu or 314-246-6914 with any questions. Webster's Lakeland campus location is hosting the area's Chamber of Commerce "Enlightened Byte" member lunch workshop series. The latest event, June 15, featured national sales trainer Steve Black and was titled "Leveraging Digital Marketing and Social Media to Explode Your Business Results." Workshops are held six times annually and cover a variety of timely marketing topics, including trends in social media, branding, web marketing and promotion.